Shutter Island, released in 2010 and based on the novel of the same name by Dennis Lehane, is a powerful movie and one of Scorsese’s later triumphs. Departing from crime to tell a thriller story that errs towards horror, Scorsese again puts Leonardo DiCaprio through his paces as a character suffering from trauma, questioning his identity and surrounded by conspiracy. Shutter Island is a period tale, set in 1954, as two US Marshalls visit the eponymous island off Boston Harbour to investigate Ashecliffe Hospital for the criminally insane. DiCaprio plays the lead of Edward Daniels, known as Teddy, while Mark Ruffalo is Chuck Aule in a role which is easily overlooked but indicative of his understated talent. The island is suitably gloomy, having a spooky lighthouse (naturally) and a hospital converted from a Civil War fort, looking and feeling more like a prison, which is a fair reference to facilities of the era. Each shot is aimed at presenting the inhospitable, doom-laded appearance of the island and surrounds, including stormy skies and deep shadows. The score underpins this marvellously and while it may seem like overkill, these elements cage the entire film perfectly. With a solid plot at the core, based on the successful book, this is not a movie which relies on jump scares and action scenes; the tension mounts without predictable release. Our US Marshalls are sent to the hospital to investigate the disappearance of patient Rachel Solando, played by Emily Mortimer. The fact that this will not go well is evident from the moment we see the medical director, Ben Kingley’s Dr. Cawley, with all of his casual malice. Little comfort comes from another familiar face, Max Von Sydow. The staff are obtuse and something is clearly afoot; to make matters worse, Teddy suffers migraines brought on by the oppressive atmosphere, leading to visions of his troubled, violent past. There are too many twists and turns in Shutter Island to describe the plot further; like so many thriller movies, the only recommendation can be that you see it for yourself. The unfolding mystery is at times shocking, perhaps even predictable in places, but always compelling as Teddy’s reality slowly fragments. Scorsese tells the tale with a measured pace and each new reveal adds to the movie, never detracting or failing to make sense. As events reach a climax, his bleak cinematography sets the scene for tragedy. Reminiscent of Taxi Driver and to an extent Casino, Scorsese depicts the world around the characters with as much detail and care as the characters themselves. 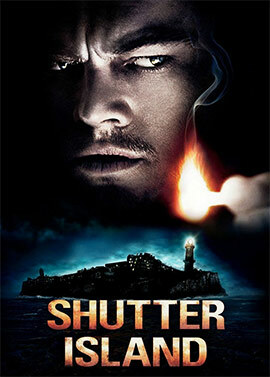 Shutter Island is a visceral presence, a trap for the unwary, a malevolent and cursed stage for a bitter human drama. DiCaprio and Ruffalo are a well matched pair, caged in drab, officious 50s era suits and fedoras. Ruffalo’s performance is stoic and subtle, a fine counterpoint to DiCaprio who takes the majority of the attention, which is a necessity of the story and genre. We see the world through his eyes, damaged by past traumas, his demons expressed in shuddering fits and bursts, quickly buried back down as he quests to find the truth. 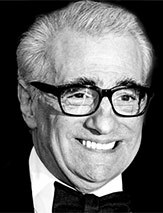 This movie is another of Scorsese’s trademark tales of decline, which warrants a second watch due to the nature of the twists.